Life In Dogs: The Dog Book is a GO! 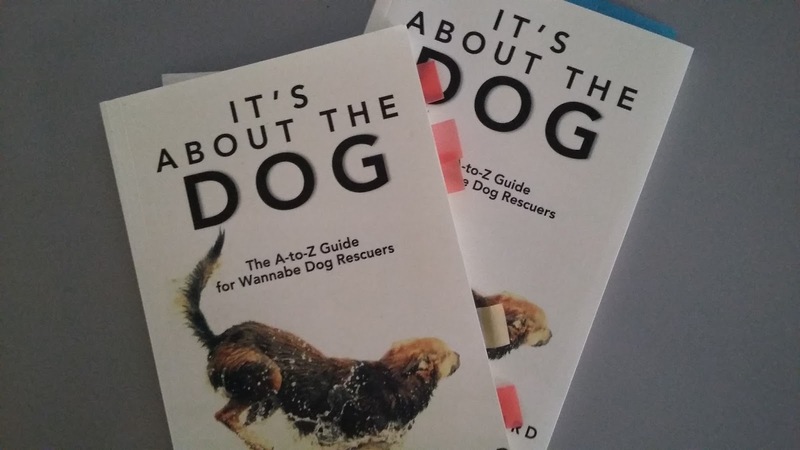 A manuscript that began as a draft for a blog post and the crazy hubris of thinking that maybe non-rescuers would be curious to know more about dog rescuing. One that's been pored over (not just in content but in f*cking formatting—that nearly killed us) and reviewed and fact-checked and foot-noted and read and reread for typos and inconsistencies and repeating language and lack of clarity and unintentional condescension (the intentional kind, we agreed, is okay), and, finally, deemed ready for publication. I don't want to give the impression that the last 2 years were a 24/7 non-stop editing and revision process. Part of the delay, in fact, had to do with me missing not one but two deadlines with the publisher. My publisher (Matt Potter of Bequem Publishing, which includesTruth Serum Press, Pure Slush Books, and Everytime Press among others) is a guy far beyond nice, and has been a lot more than patient with me and my subconscious boycott of every deadline that even looks my way, but... well, his project pipeline is rather full. Which meant that, once I missed the window allotted to my dog book, I had to wait until there was another opening. And I didn't miss this window just once, mind you. I did it again, just six months ago, when you would think the manuscript would be more than ready to go. Yes, but I still had some bits to change and add and take out, some bits that didn't make me as happy as I wanted, and... Well. So instead of having a December release date, we had to wait until now. The good news is there are no more deadlines I can miss. The manuscript has been deemed Ready, by both author and publisher. The final version has been approved. Contracts have been signed and scanned and returned. The file that will be uploaded to Lulu.com (the website Matt uses for publication) is, I hear, finished and ready to go with one click. Even the e-book version is near completion (that one always takes longer than the paperback because of different requirements at each website—Amazon likes it one way, B&N another, iBooks yet another, and so on and so forth). The not-so-great news is that the work isn't done yet. Yes, the book is done—overdone, even, haha—but now, with publication, comes the bit that no writer likes: the marketing. The 'putting it out there'. Which, honestly, feels like shameless self-promotion. Hello! Here's my book. Take it. TAKE IT! Yet it must be done. If we want readers, there's no two ways about it. And it really is about readers, especially in this particular case. Rescue isn't a popular subject, and it becomes even less so when the focus is to get you to do it. So back when Matt said yes to publishing this book, we agreed it was a project that would make no one even marginally more affluent. Matt's response to all my caveats and Be Warned advisories regarding what I consider to be this book's very limited audience was, "I publish books I want to publish. I want to publish this one." Over and over, he's renewed his commitment to the book, reaffirming how much he loves it (and reassuring my fragile author ego in the process). So, as I count down the days to April 20th, I'm keeping busy (and attempting to keep my sanity) by trolling the web in search of dog- or rescue-related blogs and websites that might be interested in hosting me (and the book—here it is, TAKE IT!!) for a blog tour during the last ten days of April and the first two weeks or so of May. Some of my writer friends have already offered, which is most appreciated, but for many of them, the topic here really pushes the boundaries of what their audiences expect or are even interested in. The book's back cover, featuring three more of my ever-patient dogs (you may recognize the image from the blog's cover photo), and the kind, kind words of two of the best writers I know. Thank you, Lynne and Robin! This blog, sadly (can't blame anyone other than myself), has lost most of its audience in the two years it's been (mostly) silent, so I'm also preparing several posts here, related to rescue but not necessarily about the book (trying to balance the TAKE IT!! bit), as well as more regular posts in the foreseeable future, to try and get it back into the swing of things. 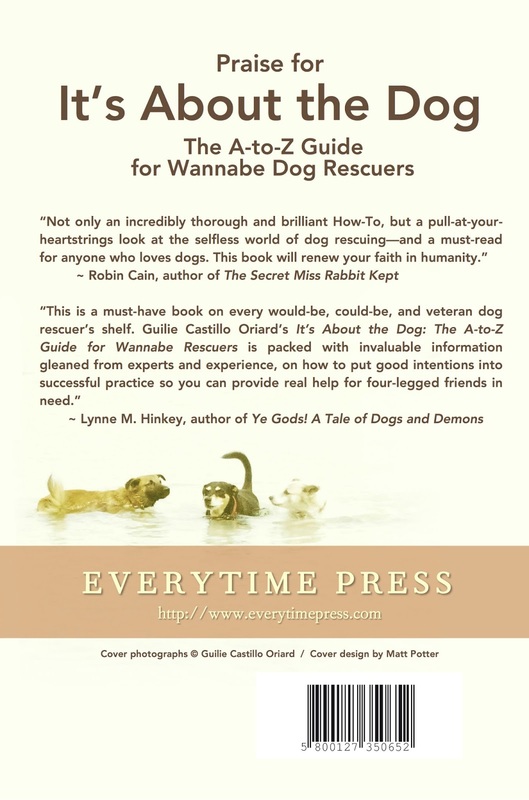 I'm also working out a way to pair the book launch with rescue organizations. Because they don't all get along with each other (see Ch. 18, Q&A on Rescue, and Ch. 27, Zealots), I'll probably end up doing several events instead of a big single one. I'm still brainstorming on this one... I'd like for it to be some kind of fundraising—goodness knows all rescue organizations can use it!—but, as the profits are not all mine to give away, and as I'll have to pay for the books upfront myself when I order, I'd end up donating only a little under a dollar (that's US) per book sold. Well, maybe it could work. And maybe, with the 'lure' of the book, I can organize other merchants to contribute, to sell their wares at the event and also donate part of their profit. Anyhoo. That's where things are at on this side of the blogosphere. To close, please consider this an open invitation to join the blog tour! I'm still working out exact dates, and I'm super flexible. If you're interested, or if you know any blogs and/or bloggers who might be, leave me a comment or drop me a line via guilie (dot) quietlaughter (at) gmail (dot) com. It would be an honor for me to include you in the 'victory lap' around the web of a project that would never have come about if it hadn't been for you. For without you, this blog wouldn't exist. 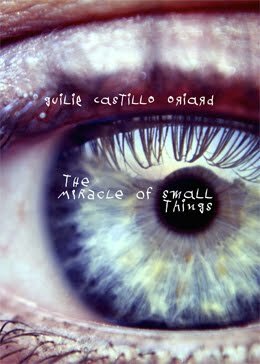 Congratulations, Guilie! 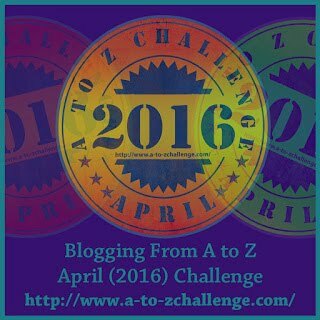 ☺ I remember reading all of those A to Z posts and suggesting you should publish them. Glad it's actually happening now. I replied to your email as well. Debbie, yes!!! You've been a part of this from the beginning, and I look forward to sharing the debut with you :) Thanks so much for your hospitality, for being willing to come out of blog-hibernation for me and the book (and the dogs)—you're awesome! Before I forget, I want to say a big thank you for your kind-hearted words over at my blog. When I say they mean "a lot" well, that just sounds so hallow doesn't it? Truly, you are so very kind and I appreciate you more than I can express. Now, get this! Sometimes people are put in other people's paths for a reason. At least that's what I believe. I know you and I used to comment back and forth awhile back and shared a mutual connection about rescue dogs, because, I mean...they're rescue dogs! (I have one in tomorrow's post!) Anyway, I already have a post scheduled for May 3 featuring my latest rescue doggie. If you'd like me to host you, I'd be happy to. I may not have many followers, but some is more than none. :) Just send me an email and let me know all the details. Elsie, I would be THRILLED! And how's this for crossing each other's paths for a reason: I actually stopped by your blog to look for an email address to contact you about the blog tour (I remember our back-and-forth! ), then got caught up in your brilliant post—have I mentioned how much I love your writing voice?—and... forgot about the email :) But I'll send it now. And thank you—THANK YOU—for wanting to host me. And for your love of animals. Especially dogs. Especially rescue dogs :) You're a star. I'm so very impressed by this post, the way you went about getting the book published, and your tips for aspiring writers. Also, the illustrations are so beautiful. 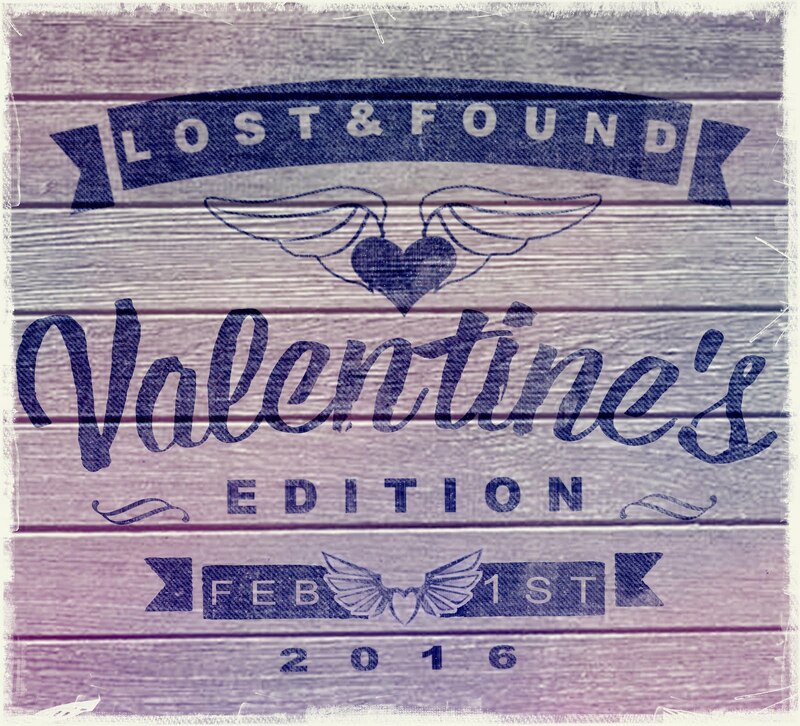 I haven't tried to find mine. Its an interesting concept which you have explained clearly. Oh wow! Congratulations on such a significant accomplishment. Always enjoyed your writing style on your blog, so I can only imagine how amazing your book is. Congrats so much on the book! It looks great! Good luck with everything - the easy (and fun) part tends to be the writing, even when it is frustrating. But the hard part of promotion and selling really does have its rewards, as you get to share all your good information with the world. That's so true, Sarah. Having now wrapped up the tour (which is just the beginning, really; now we have all sorts of stuff to plan for the launch here in Curaçao and for upcoming events in the last quarter of the year... it never stops, does it? 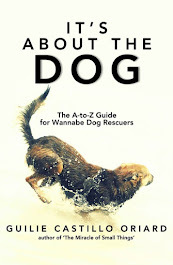 ;) ), your words take on new meaning: I got to connect with so many new bloggers, people who also love rescue and rescue dogs, and they had such warm reactions to the book and to me, that the whole thing felt more than worth it. I'm in the midst of getting ready to release my first book and I can so relate to all of the issues involved in the process and having to do self-promotion, which I loathe. Congrats on finally getting it out there! And as the owner of five rescue dogs, I can definitely say this is a worthy subject that needs to have more written about it. Wishing you the best of success. Oh, Nick—five rescues! You're definitely one of the gang, eh? And I agree; rescue, for some reason, seems to be a rather hermetic subject, like some sort of secret society for the initiated only, and I constantly run across people who have no idea not just about rescue itself but about the problems (mostly ignorance) that make it necessary—why people abandon their dogs, for instance, or why so many dogs (and cats) aren't sterilized, why so many rescues are so hard to find good homes for, etc. 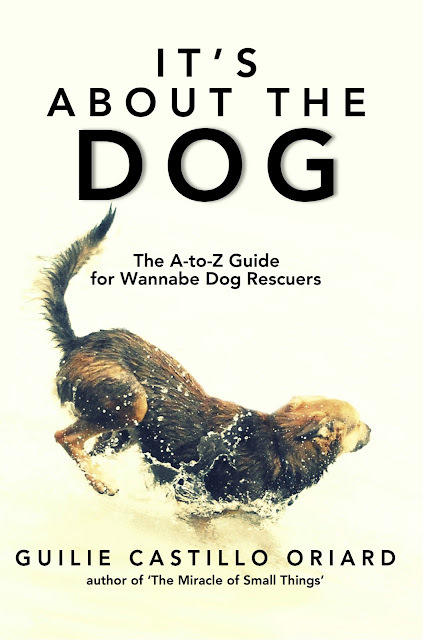 The next book (after a fiction break, to recoup, haha) will be the A-to-Z Guide for Fostering Rescues, and then one on adopting rescues—for which I'd absolutely LOVE your input, if you're willing.